Leona was born October 17, 1917 in Irvington, NJ. She was the daughter of George F. Bauer (1886-1974) and Katherine Van Driel (1890-1920), and the wife of Vincenzo Morano. 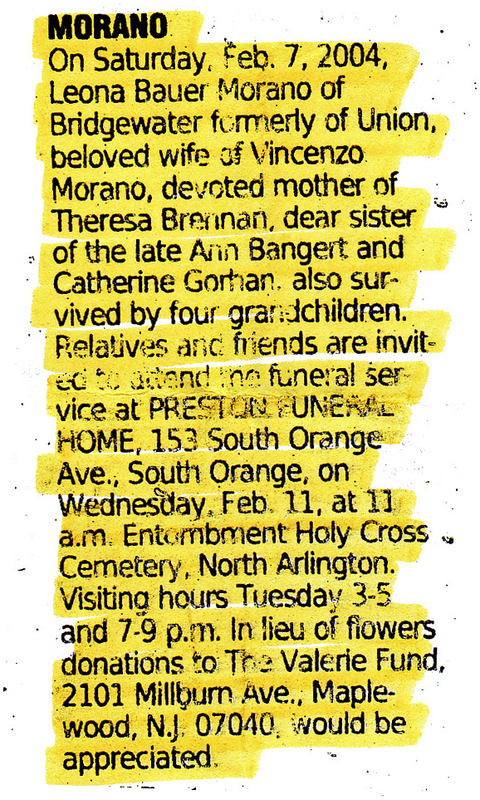 The obituary is from the Monday, February 9, 2004 issue of the Newark Star Ledger.